Here's the start of a book series for kids 7-10 (ish) about a stage magician (with some real magic as well as some great illusions!) co-written by a real magician! 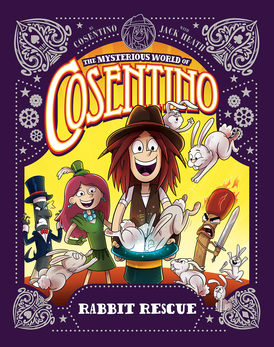 The Missing Ace (book 1) and Rabbit Rescue, by Cosentino with Jack Heath (Kane Miller, 2018 in the US) are fun adventures full of danger and excitement in a surreal world where many inanimate objects are actually alive and magic is everyhwere, although the practice of magic is forbidden to common folk. Cosentino, a young stage magician, is a deft illusionist. He has a secret book of real magical spells, and a kind heart, so when an Ace of Spaces (a living card) seeks sanctuary from the kings soldiers in his theatre, Cosentino tries to help him, but in so doing attracts the attention of the king's henchmen, and he's imprisoned in the royal dungeon! Will his magic, both real and illusory, be enough to get him out again? 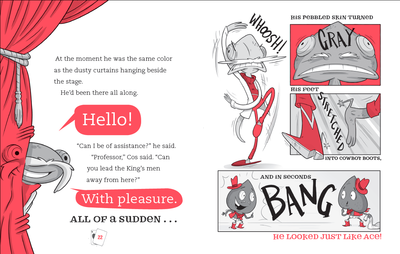 He butts heads with the king again in the second book, in which he and his friends set off to free the magical rabbits of the kingdom, who are about to be served up for the king's eating pleasure. With help from the young princess, who's not fond of the king's policies, and other, odder friends, Cosentino bends reality to save the rabbits' day, putting his own livelihood at risk. These are great easy reads for the elementary school aged kid still finding their reading feet. The font is large, there are illustrations on every page (grey tones, with read highlights), and there is almost always something Happening, on stage or off.. There's no attempt at formal world building, so readers are simply plunged into craziness (which I found a tad off-putting, but I'm not the target audience, and perhaps many emerging readers are put off by explicit world building because it slows things down???). 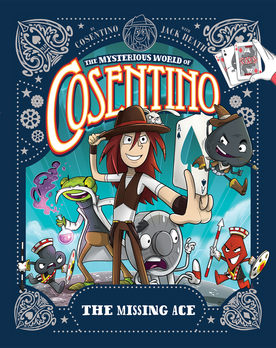 It's an especially great series for kids who are fascinated by stage magic-- some of Cosentino's tricks are explained to the reader, and there are detailed instructions for a magic trick at the end of each book.